**This is a 2 piece, bodice and skirt and an extra piece of the blue velvet fabric. 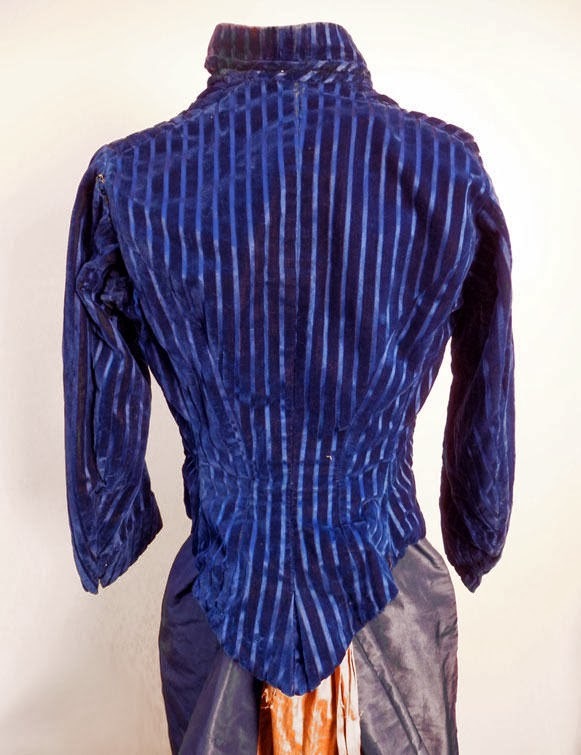 Velvet bodice with front buttons, 3 plain buttons and 5 fancy ones, 2 are missing as pictured. Not sure which were original, but the fancy buttons are very pretty. 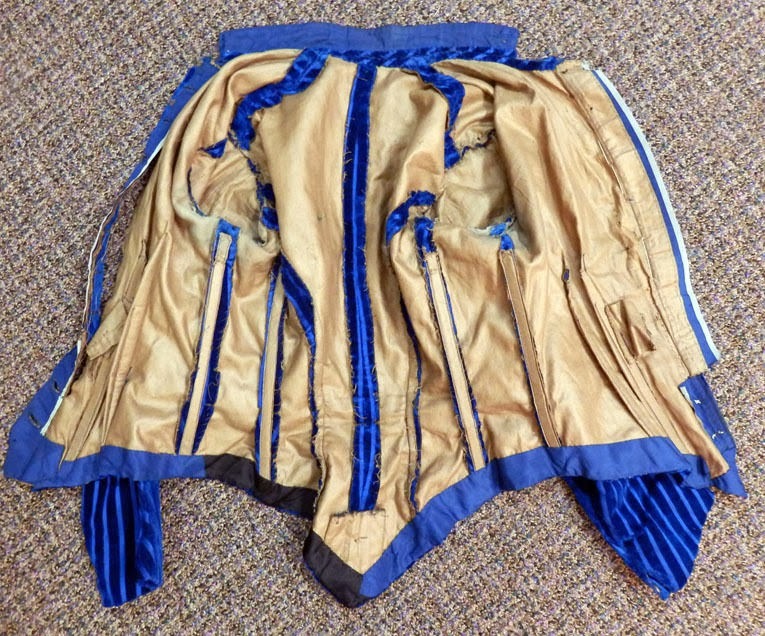 The skirt has front and back brown/tan center panels. Skirt is also in a matching blue color silk. 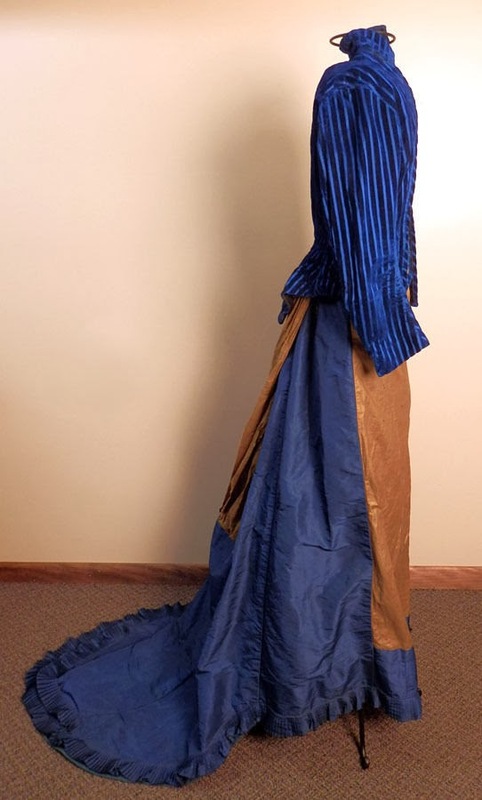 The panel is set under the blue fabric at front waist/hips, I pictured this above, it looks as if it were purposely made this way. 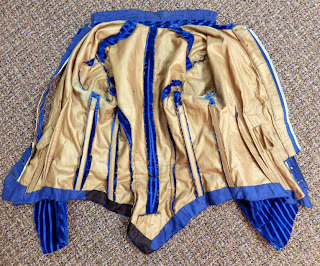 The back of the skirt is open most all the way down the brown panel in back. 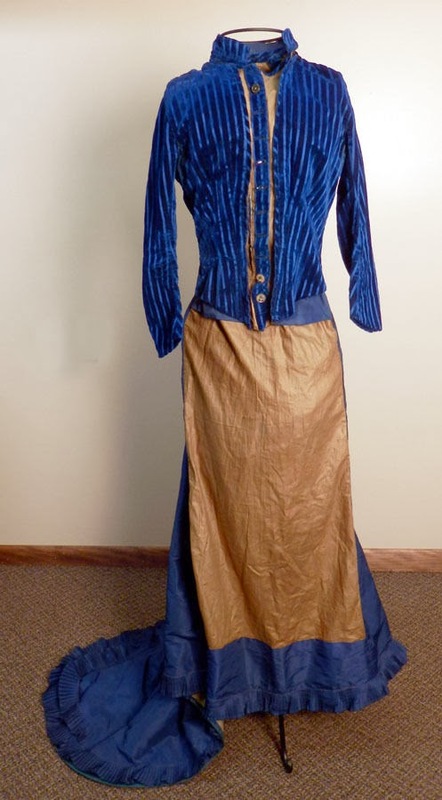 Waist is missing hooks. The bodice inner button panel is split most of the way on one side (pictured above). 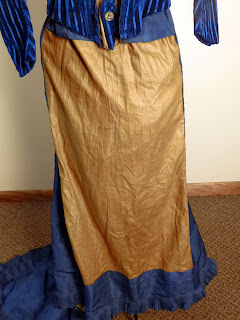 Collar is missing some stitches and also shoulder/sleeve seam. Underarms are a bit lighter. Back brown panel has one hole. I did not find any significant stains or holes. 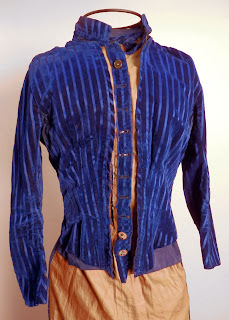 Please see our other listings for more clothing from this estate. 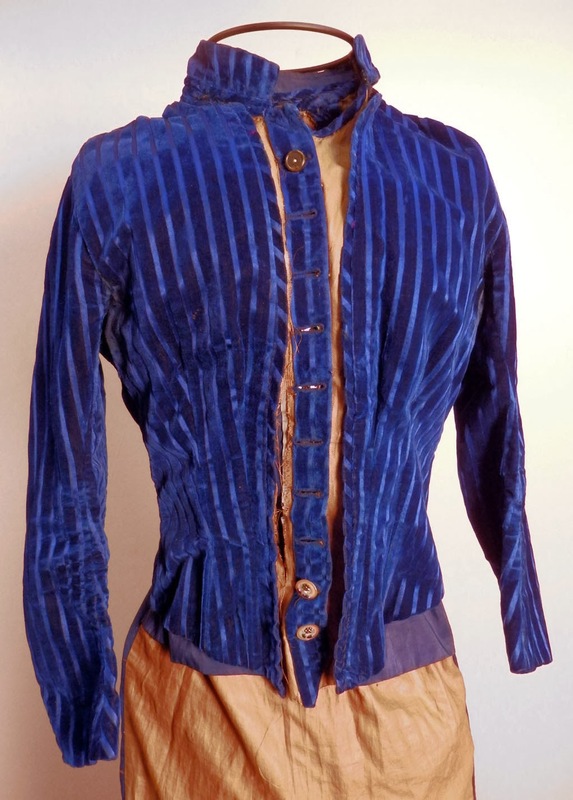 The owner of the estate was 94 and never married, the clothing was his grandmothers still stored in the family home. So, obviously, the original overskirt is missing. However, due to this, we can learn a lot from these pictures. The panels were meant to be covered by a rich fabric - maybe more of that lovely cut velvet- but due to them, we can see some great construction techniques.